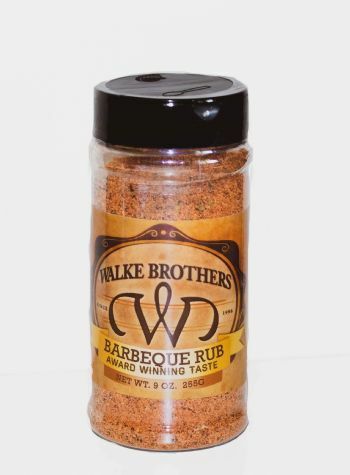 Walke Brothers Barbeque Rub is prepared with only the finest herbs and spices to compliment the savory flavors of your preferred meats. Contains No MSG. Suggestions for use: Apply generously as a rub on your favorite roast, steak, poultry or chops. Great on seafood and vegetables too!